Germany is beautiful, especially where I live.Â My flat is Hattenheim which is about a 15 minute bike ride from EBS.Â The entire town is surrounded by vineyards, wild blackberry bushes and the Rhein River.Â Hattenheim is very small, but very cozy.Â Everyone is really nice and people always greet you with a smile.Â However, most of the locals donâ€™t speak a lot of English so itâ€™s a good idea to know a few German greetings before you come.Â In Hattenheim it is also very popular to ride bikes.Â We are guaranteed to see at least 15 to 20 bike riders every day on the way to school.Â EBS has two campuses, The Schloss and The Burg. Â The Burg campus is really beautiful too.Â The school is surrounded by vineyards and EBS also has their very own wine cellar with a wine tasting club.Â When you first get here though, you have to take an intensive German class and that is located at the Burg campus.Â The classes are really intensive, but they really help in getting around the city.Â Another great thing about the classes are that you meet people from all over the world.Â I have met people from China, Canada, Guatemala, Spain, Mexico, Poland, Sweden, and more.Â And everyone is really nice.Â EBS also plans lots of activities for us during these two weeks.Â They have already taken us to a local winery for dinner, a boat tour around the castle in Radesheim, and next week they are taking us to Frankfurt.Â Thatâ€™s all for now, and I will post later with hopefully some pictures! 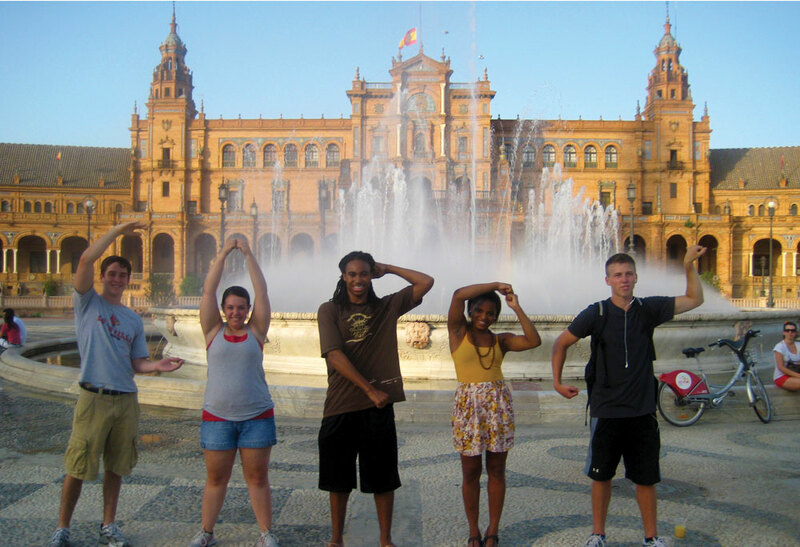 This entry was posted in Study Abroad by s0parr01. Bookmark the permalink.